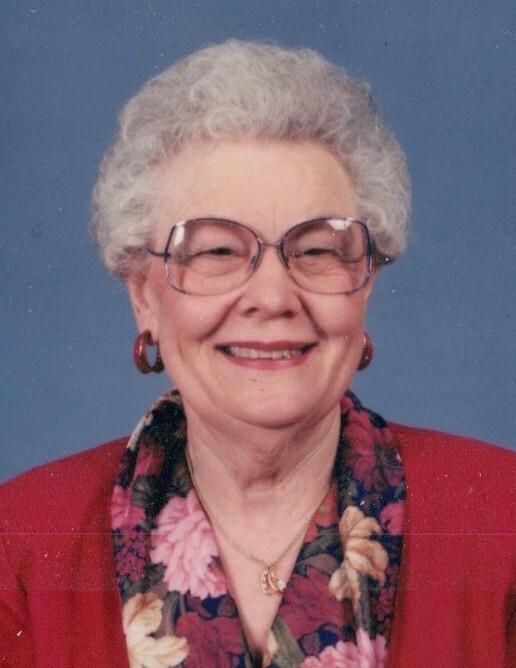 Dorothy S. Wayne, 95, of Cherry Lane, Carlsbad, New Mexico, passed away Monday, November 26, 2018 at Goodlife Assisted Living. Funeral services are scheduled for 10:00 AM, Monday, December 3, 2018 at First Baptist Church with Associate Pastor Kevin Pence officiating. Interment will follow in Carlsbad Cemetery, Carlsbad, New Mexico. Denton-Wood Funeral Home is in charge of the arrangements. Dorothy S. Wayne was born January 4, 1923 in Hermleigh, Texas to Dave Naylor Sharp and Noda Elizabeth Merrell. She married Tilman E. Wayne July 6, 1942. Survivors are her brother, Stanley Sharp of Anthony, NM and children: Jerry T. Wayne of Longmont, Colorado, Jeanene Tichenor of Lenexa, Kansas; grandchildren: John Jasuta, Jerry Jasuta, Jeff Jasuta, Amy Haddon and Benjamin Wayne; 8 great-grandchildren. Mrs. Wayne was educated in Texas and New Mexico. She earned a B.A. in elementary education at Eastern New Mexico University and did post graduate work at New Mexico State University. Mrs. Wayne taught school for 27 years in Dona Ana County and Carlsbad, NM. She is remembered fondly by her students as a kind and dedicated teacher. She was also a member of Alpha Delta Kappa Sorority. Mrs. Wayne was an active member of the First Baptist Church of Carlsbad. She taught Sunday school, sang in the choir and served on church committees. She also served as a member of the Carlsbad Library Board.